Portuguese isolate used for production of fresh, fruity, white wines. Enhances the aroma of terpenic varietals like Muscat, Sauvignon blanc and Gewurztraminer, through Beta-glucosidase activity. QA23 will not give structure to a wine, but it truly excels at focusing the fruit either alone or as part of a blend. Strong fermentation rate, alcohol tolerant to 16% and optimum fermentation from 50 to 90 degrees. 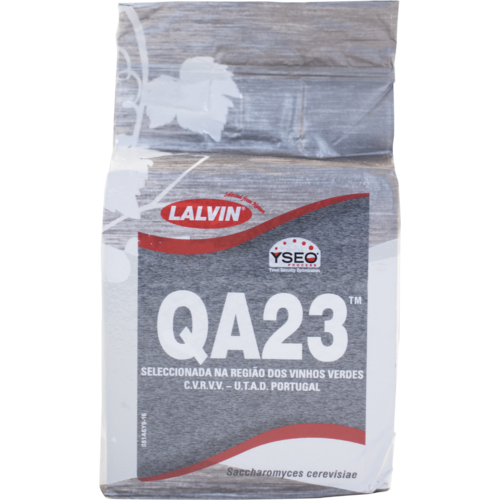 QA23 has low nutrient requirements and will ferment clarified juice with low solids content. It's a low maintenance fermentor that brings out passion fruit and guava notes. Good reliable ferment.Also very good for malolactic fermentation. intend to make a fruit forward white and want low SO2 production during fermetation. 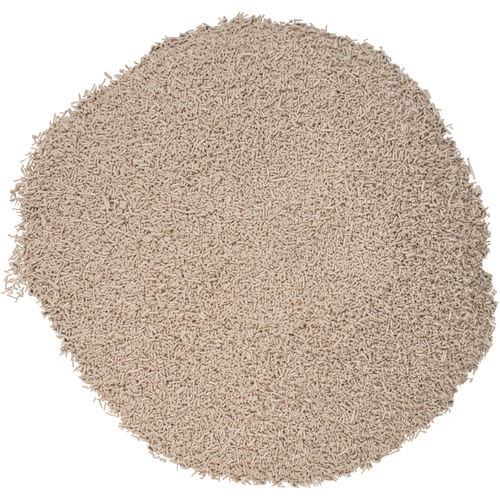 A very nice yeast for many white wines. We've used QA23 for many different white wines over the years. Always good results. With Sauvignon Blanc the yeast does what its description says it does in bringing out the passion fruit characteristics of the varietal. However, the net result is a bit one-dimensional and a little heavy on in terms of mouthfeel. 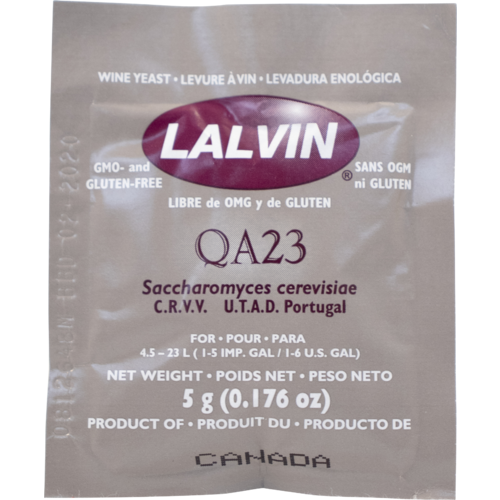 I think that this yeast could best be used with Sauvignon Blanc when blended with other Sauvignon Blanc that has been fermented with a yeast that produces a lighter and brighter wine. I have not yet tried this yeast with Chardonnay, but am about to. I struggled as whether to give this yeast a three or four star rating. I think that the result on its own is solid and ok, but lacks a wow factor, which is why I ultimately settled on a three star rating.